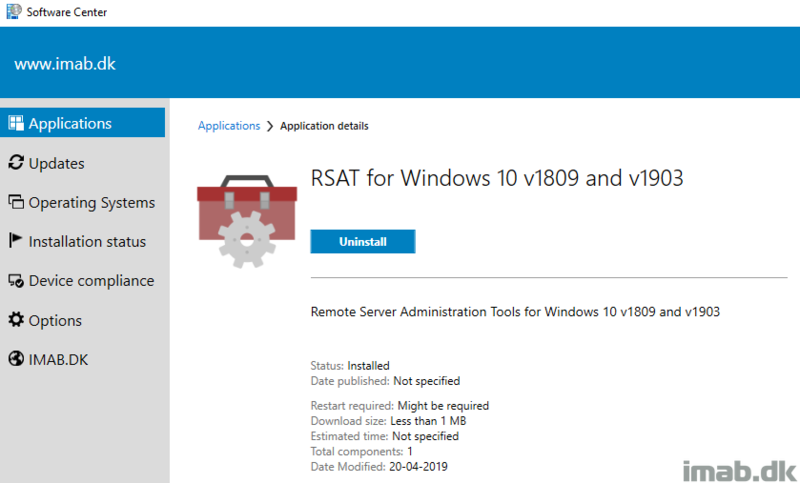 Similar to when Windows 10 v1809 was released back in October 2018 and RSAT debuted as “Features on Demand”, the way of installing RSAT continues with the v1903 release. Back then I did a Powershell script which is able to install and uninstall the RSAT features. I have now rewritten the script to also include Windows 10 v1903. First off, bear with me here during the intro. I know introductions usually are boring, but I do have a few words to share with you first. The following is by no means any substitution for any other Modern Driver Management solution out there. This is purely me exploring, learning and sharing that experience with anyone who’s interested. When I find something useful, I usually try to do my own thing for various reasons, but mainly to learn and also for being less dependent on others work and future maintenance plans. The idea here is, that you fire up a given device with a given version of Windows (preferably Windows 10) and install ALL the drivers (preferably the latest drivers) and verify that everything works in that combination of Windows, drivers and hardware model. 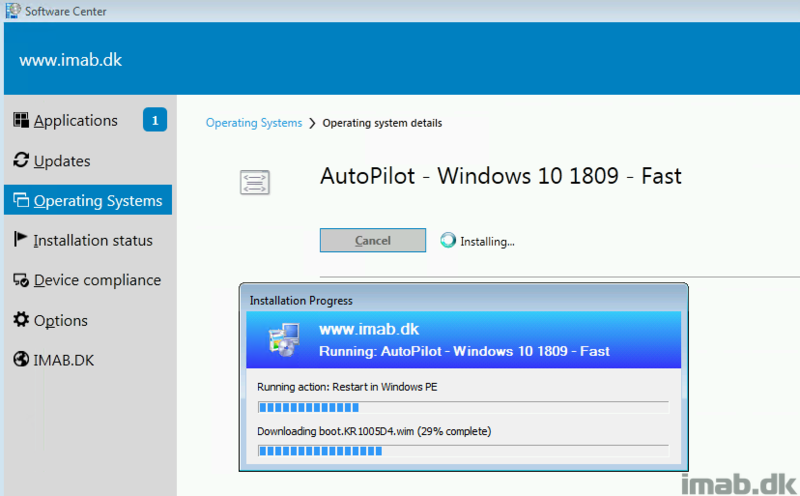 Note: Most vendors provide a tool which checks online for latest drivers and gives you option to install those. This is pretty handy when building new drivers for a given computer model. Now knowing that everything works, this is the drivers you want to apply to future deployments of this computer model, so you run the script and everything is automatically exported and a package in ConfigMgr is created. PS. If you’re looking for a truly nifty and ‘modern’ approach, I suggest you head over to SCConfigMgr.com and take a peek at their solutions for both BIOS and drivers. Installing the OneDrive for Business client on a per machine basis is an often requested feature and for good reasons. OneDrive in it’s current state in the production ring, is installing into the users profile in %localappdata%, and for equally good reasons that is often not desired by enterprises. Since my previous WaaS posts, I have received a few inquiries about how to do drivers when precaching the content prior to running the actual In-Place upgrade. As of such, I figured it would make a great blog post covering the approach I’m currently using. So this is me doing just that, as a small addition to what I have previously covered with my PreCache and In-Place Upgrade Task Sequences. Lately I have been preparing our own shift from old school device provisioning with PXE and ConfigMgr, to the modern alternative with Windows AutoPilot. The preparation is two folded, where the mindset of the IT pros working with the technologies needs a shift, but obviously also the technologies and features involved. We’ve been hitting F12 and preparing devices within IT for many years and while it’s easy to persuade IT pros into using new and exciting technologies, the businesses we serve also needs maturing. We are not quite there yet, but we are getting closer, and the first step is obviously to embrace the technology and start using it. We don’t have any devices running Windows 7 in our environment (phew), but this is an approach that can be used with previous versions of Windows 10 as well. For example when moving from 1803 to 1809. This will be a small but exciting contribution to my ‘Windows as a Service’ series! The usual story here is, that everyone wants to add more user-friendliness to the whole experience around Windows Servicing. End-users generally doesn’t care about new versions of Windows and they also, generally speaking, find interruptions in their work annoying, especially if those interruptions come unexpected. 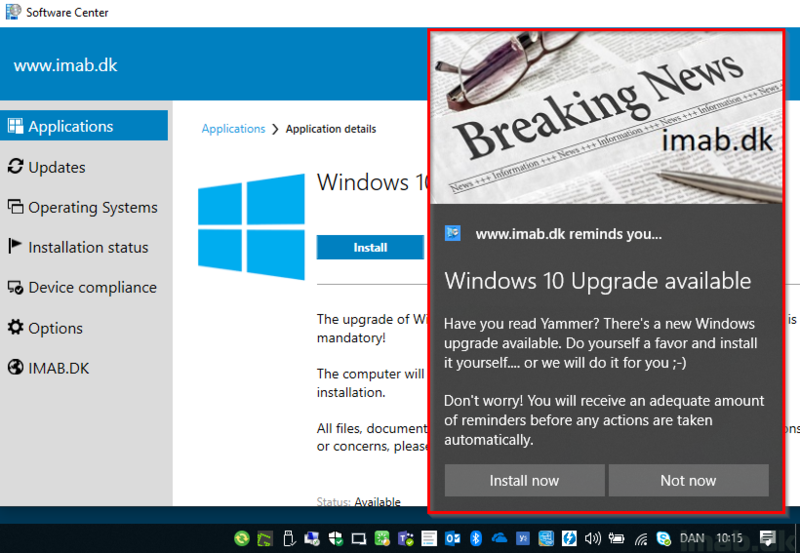 So we come up with clever solutions to solve those problems and this will be an addition to that; remind the user with a big nice Windows toast notification when a Windows upgrade is pending. This is for the obvious reminder, but also to lure the end-user into a voluntary participation.